Click to enlarge via Flickr. Left: full view. Right: detail view of trim. 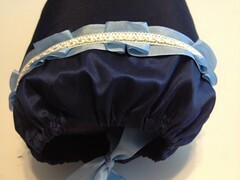 Notes: Made as part of the 18th C Muff class taught by Stephanie Pool at Dress U 2012. 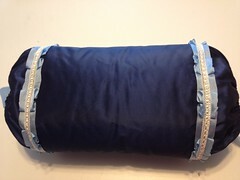 Stephanie made the inner pillow before the class, while I hand-sewed the cover.